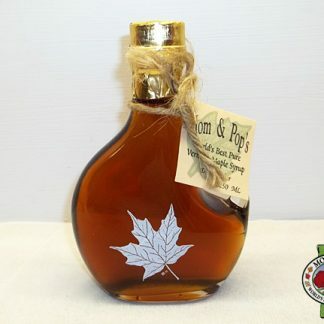 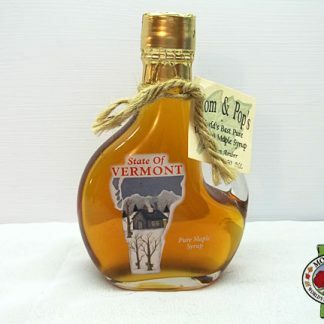 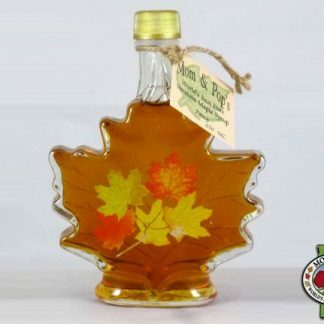 Glass bottle filled with 500 mL (16.9 oz) of Vermont maple syrup. 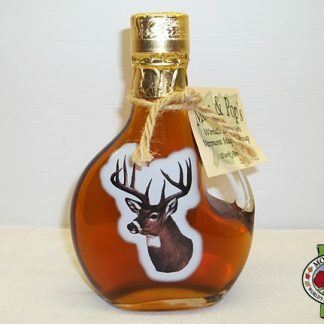 Bottle is decorated with a winter scene. 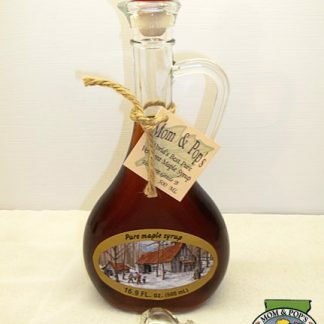 Closure type: Cork or glass, your choice. 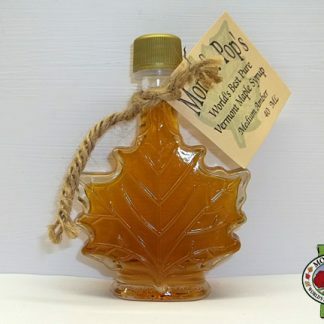 This is an All Natural product. 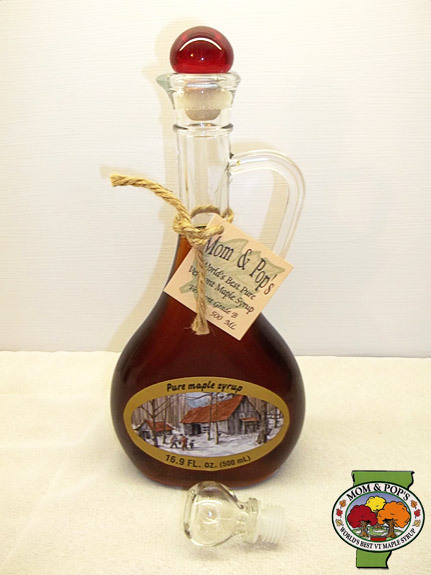 All glass containers with glass, bail or cork closures should be kept refrigerated once received.